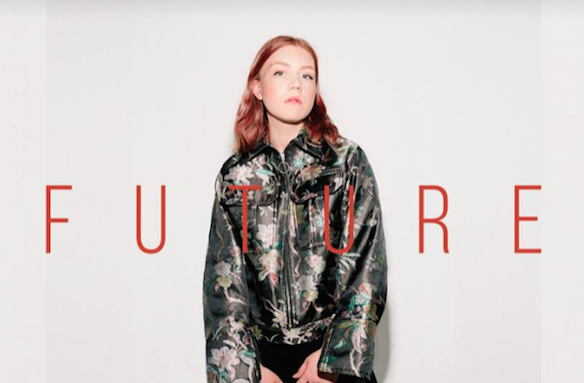 Norwegian singer-songwriter Hanne Mjøen has released her new single 'Future' — be prepared to jam this one out loud and on repeat! Along with being a dynamic pop single, Hanne Mjøen uses deep lyricism to share what it feels like when your emotions are conflicting. It's impossible to deny the electrifying and commanding electronic production of 'Future'. The intensity of the beat pumps life into the track and transforms her heartfelt words into a powerful pop ballad. The catchy nature of the track is infectious and you will want to blast 'Future' loud whilst you're driving in your car. Her vocals are exceptional and sound smooth-as-butter on the track. There's also something incredibly calming about her tone and you feel instantly calm when you hear her vocals, even with the bouncy production. Hanne Mjøen is a shining light within Norway's music scene and I'm certain she has big things in-store in 2018.